San Diego Charter Bus Company is here to make all of your school-related travel a breeze. Elementary field trips, university campus tours, and all types of trips in between are easier with one of the various buses we charter. If you’re not sure which one is right for you, call our representatives at any time of day at 619-209-7804 to discuss your upcoming rental! Put together an itinerary of your favorite educational stops in San Diego and leave the driving to a professional! We'll take you to the San Diego Natural History Museum, the San Diego Botanic Gardens, or any of your favorite attractions in the city for an unforgettable field trip experience. Charter buses are equipped with modern amenities to make your trip as comfortable as possible. Recline in your seat and enjoy WiFi, televisions, and more. We’ll choose an experienced driver to transport your group safely to your final destination so you won’t have to worry about dealing with traffic. Traveling to an away game with your team? 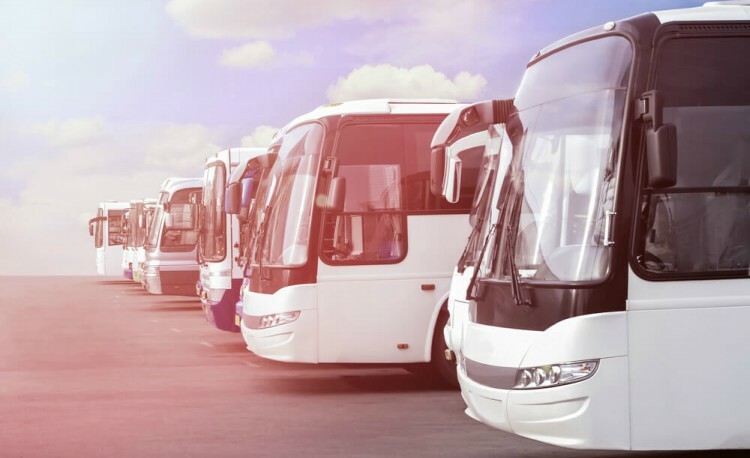 Book a private charter bus for comfortable travel to the game. Let your team relax and socialize on board-- they’ll have plenty of room to stretch out while their luggage, equipment, and carry-ons stay safely stowed in luggage bays and overhead bins. Your team will be relaxed and ready to play when you arrive. Get to know your favorite campuses in a private mini bus. You and your friends can relax while your driver takes you to all of the campus’s top destinations, dropping you off for tours, meals, and more. While you tour, you won’t need to stress about finding your way around a new campus-- your driver will handle navigating while you take in your future home! No matter what brings you to the San Diego area, we’ll make sure your school trip runs smoothly and efficiently. Contact us at 619-209-7804 to rent your charter bus today! Our representatives are available 24/7 to help with every aspect of your rental from your itinerary to your trip quote!